Victoria Falls World Challenge held the 5th ACE bird race and second Hotspot from Gweru, 450km to the South East of Victoria Falls on Saturday 16th June. A total of 655 pigeons were liberated at 7am in ideal conditions with clear skies, a maximum temperature of 27 degrees C and a slight headwind of 4km per hour. The first group of 9 pigeons arrived at 12.31 recording a velocity of 1358 m/m. 53 pigeons were home within 5 minutes of the winner, 115 birds were home within 15 minutes and 287 or 44% were home in the first hour. When the clock was stopped 91% of pigeons were home. There are 2 races remaining in the yearling series. Both of these races count towards the ACE bird competition. The final race from Lake Kyle 602 km (374 miles) will be on Saturday 30th June. The pigeons are fit and in excellent health so the final will be fiercely contested with a number of pigeons in contention for the overall Best Bird and ACE bird competitions. 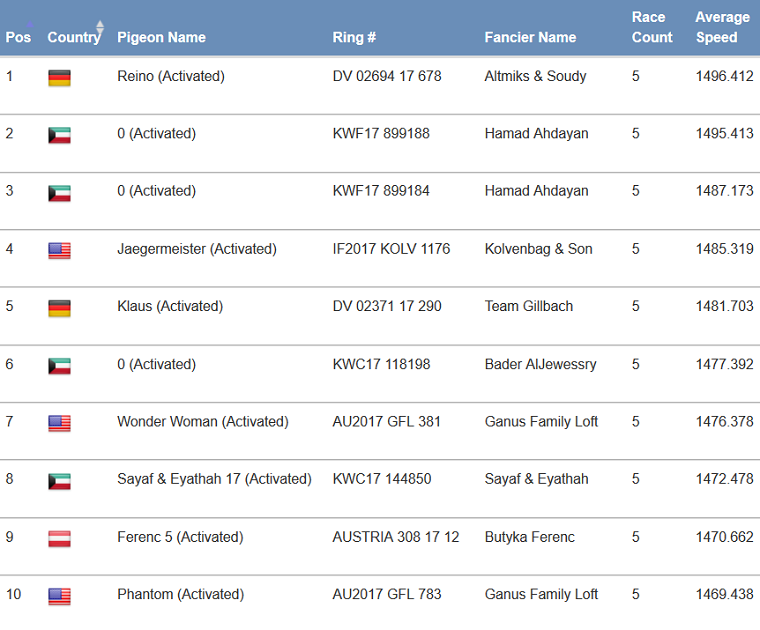 After the final approximately 50 winning pigeons, 10 ACE birds and 10 Best Overall birds will be selected by PIPA to be auctioned. Pigeons that are not selected for sale can be taken for free by the breeders. This is provided that they were activated for the race and the breeders pay the shipping and quarantine costs. This also is dependent on the final destination and if veterinary and flight restrictions do not inhibit the export. Please contact rn mif.wiaarvmalodictcpolc@s if you wish to take your pigeon back. Please remember that we will need a pedigree supplied for winning pigeons to sell the birds on PIPA. The deadline for the supply of pedigrees is 14 days after the final race. Our intake for the 2019 yearling series with 1 million US dollars prize money is in full swing. 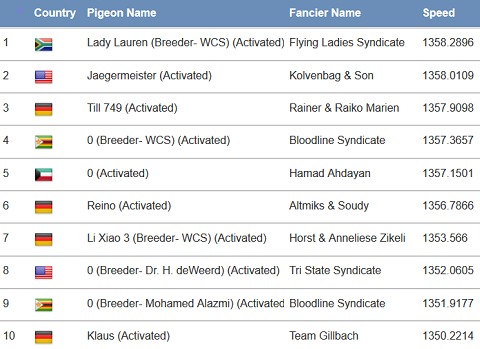 Intake of pigeons by our agents is in the 1st week of each month from now until September this year. For details of who to contact and how we can help you get pigeons to our race please visit our website at www.victoriafallswcpr.com or contact roif.wianrv maloifctcpolc@s.
Birds must have been activated by 30 April 2018.